As a hearty welcome to new patients we are offering a FREE consultation with our Treatment Coordinator. This will give you a chance to find out what we offer and how we can help you. 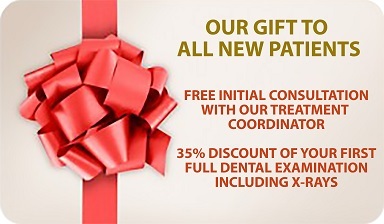 There is a further offer of 35% off when you book your first full Dental Examination with x-ray and gum assessment.